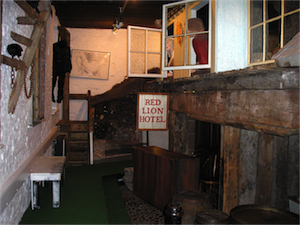 The Window on Berwick exhibition was created in 1988 by the then curator Richard Doughty and a small team, who researched, designed and built the room. 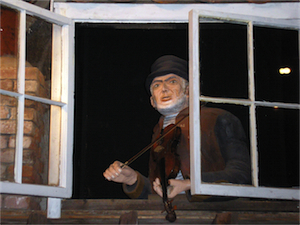 Since then the Window on Berwick exhibition has proved to be one of the most popular exhibitions in the museum amongst visitors, old and young alike. You can take a walk around the ramparts of the old historic town of Berwick-upon-Tweed, looking and listening to the sights and sounds of the past. 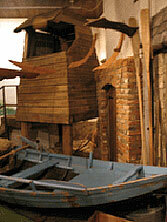 View a traditional salmon coble and salmon lookout; peer in a farm workers cottage and down a gloomy coal-mine. Pop into the tavern for a moment or visit a laundry. Look into the shop windows and have a go at being a cashier. 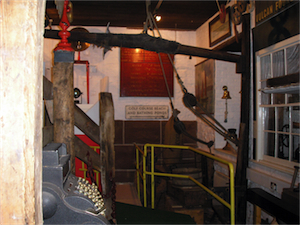 Become the lighthouse keeper and take a peek at Dr Johnston’s cabinet of curiosities.